Clone Miss Marple, give'em a heavy dose of nitrous oxide, and you've got the Brooke Sisters! 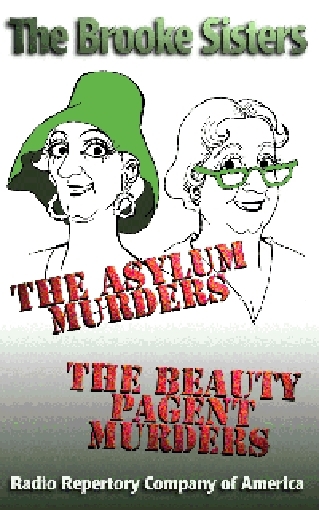 Two lovely, wacky little old ladies keep finding themselves bloomers-deep in murder and mystery in this hilarious series from the Radio Repertory Company of America. Four great stories feature our heroines as inmates, contestants, linebackers and time-travelers.